Before Sara Jo Malinske (’13) graduated from JMU last May, her plane ticket was bought, her after-graduation plans solidified. She was headed back to Kenya. So with diploma in hand, Sara Jo headed back to a place and people she had come to love. The culture of Kenya, like so many places in the world, values boys above girls. It’s cultural — and it’s deeply embedded, Sara Jo says. Education is also highly sought in Kenya and expensive, particularly secondary education. When a family manages to scrape together money for a child to attend school, most often a son is chosen. Even when a family of all daughters finds the money for education, they will often opt to send a neighbor’s son instead of their own daughter. Daraja is trying to change that. The school, a nonprofit, offers full scholarships to 26 girls each year and is funded entirely through donations and fundraising. To find the right girls, the school’s administrators tour the country looking for girls with academic promise, leadership skills — and no other way to attend school. “They take the girls who fall through the cracks,” Sara Jo says. And they are successful. At the end of their education at Daraja, every girl — in fact, every student in Kenya — takes the KCSE exam, a grueling three-week long examination that covers every subject they have ever studied. Each subject, Sara says, has three parts, and each part takes up to three hours to complete. For those students scoring exceptionally high, the Kenyan government pays their university tuition. Others apply for scholarships. Of the first group of Daraja graduates, eight are enrolled in Kenyan universities with full financial support. One of those, Leila, “is brilliant. She is studying in a bio technology field,” Sara Jo says. 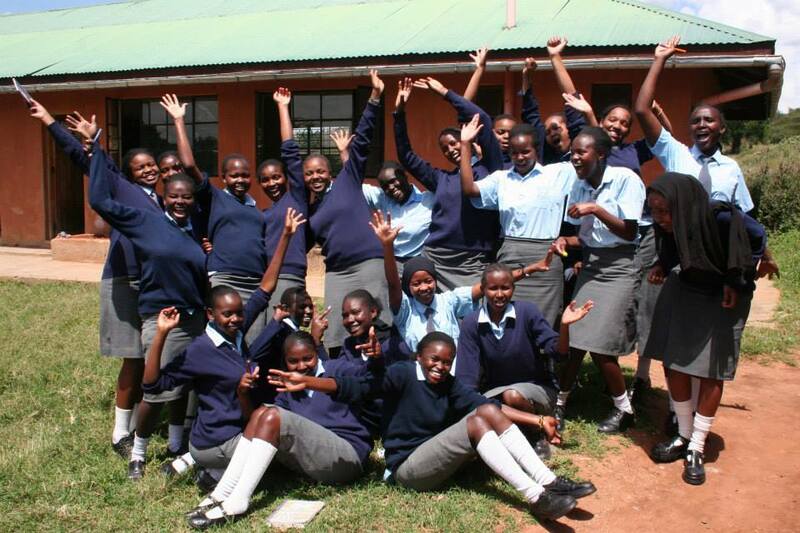 Empowering girls like the Daraja girls is something Sara Jo is passionate about. It’s why she flew back to Kenya just after graduation as an intern. Returning, she wanted a part in encouraging the gender equality and opportunity for these girls, and girls elsewhere. Having studied gender equality as a sociology student at JMU, she believes that the best way to achieve such is for people like Leila to show the world what she can do. Such social change takes time,she knows, but showing others what’s possible for girls to achieve is a good, solid step. As a volunteer, Sara asked Daraja’s founders how she could help. What they needed most was to get the word out to others, so Sara Jo used social media and email to tell others about Daraja and to recruit partnerships. Among her successes was creating a connection with United Nations Girls’ Education Initiative. Since returning in December from her second trip to Kenya, Sara Jo, who says of herself “I never stop,” is working to promote fair trade through Harrisonburg’s Ten Thousand Villages. She’s also working with the National Coalition of Girls Schools, a Charlottesville-based nonprofit. And she works at Massanutten Resort feeding her love of being outdoors, a love she managed to satiate while in Africa. In addition to scaling Mt. Kenya and Tanzania’s Mt. Kilimanjaro, she whitewater rafted on the Zambezi River and hung off the edge of Victoria Falls in Zambia. Before coming to JMU, she had no idea she’d end up scaling Mt. Kilimanjaro or supporting the changing lives of Kenyan girls. “When I came to Springboard,” she says, “I had no idea.” But two Alternative Spring Break trips, one to Honduras and another to the Florida Keys, plus her transformative Study Abroad changed all that. 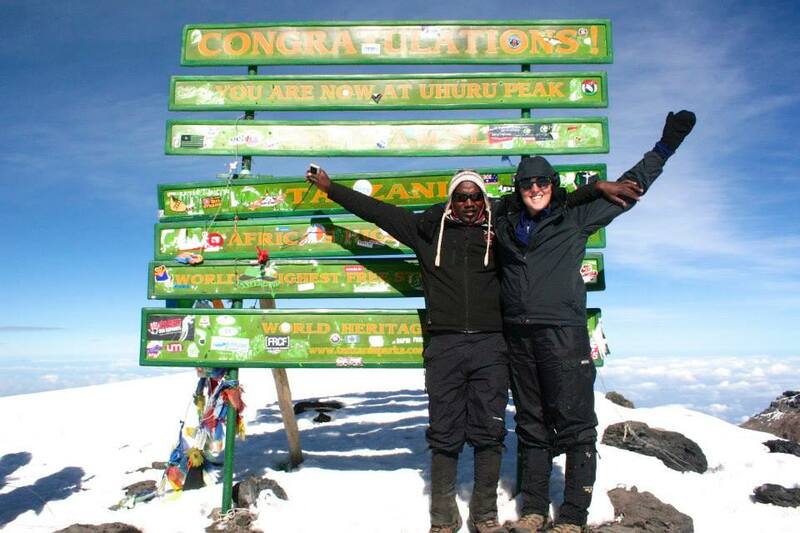 Studying Abroad in Kenya “gave me focus,” she says. And now her focus is again on Kenya — and how soon she can get back again. Such an awesome article on a fellow Duke who is literally being the change! Im sure there will be some future Dukes from the Daraja Academy in the upcoming years because of her passion, her service, and unconditional love towards those young inspiring women. 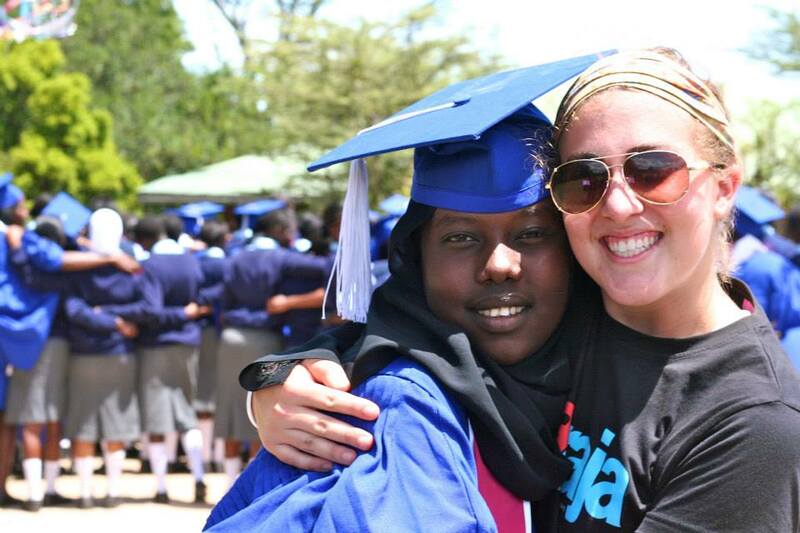 I’m so proud of Sara Jo and those great girls at Daraja Academy!